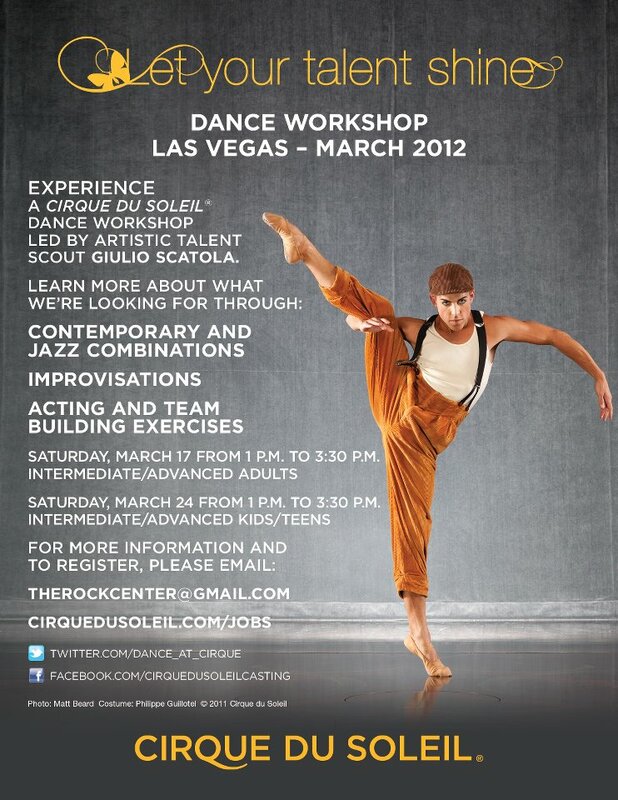 Giulio Scatola, Cirque’s talent scout, will be at the Rock Center for Dance from 1 p.m. – 3:30 p.m. today for an artistic master class designed to demonstrate what, exactly, Cirque is looking for at annual auditions. Don’t let that motivation fool you, though. The workshops tend to have an intimate, intensely creative feel and Scatola makes it difficult to remember that he was recently one of the intimidating faces sitting on the panel for the January and February auditions. Come prepared for a good warm-up, contemporary and jazz choreography and some acting exercises thrown in for good measure. (More information is on the flier.) Mostly, though, come with your game face and an open mind and prepare to be inspired. Performers showcased a fuller Fosse flavor in "Sing, Sing, Sing," which closed the concert. A small, sultry cast slunk onstage to some spectacular renditions of Bob Fosse’s work in “Take Off with Us,” a benefit directed and choreographed by Cirque’s Giulio Scatola and presented by RagTag Entertainment. The Ovation theater at Green Valley Ranch played host and, while the production elements were understated by Las Vegas standards, the show didn’t need them. The performers delivered tasteful and tantalizing sensuality, coupled in most cases with grand stage presence. All of this made the $15 ticket price a stellar value. Leads Traci Kesisian and Savannah Smith were knockouts; their full, emotional voices bore the show along effortlessly. Scatola’s choreography also did them justice, as they both neatly sidestepped the old paradigm of singers who don’t dance. Kesisian and Smith held their own with the ensemble of dancers backing them, propelled by compelling command of the stage. The rundown of “Take Off with Us” was short, sweet and sassy. Dancers Claudia Cervenka, Erin Marie Sullivan, Kady Kay, Rochelle Wolfe, Caitlin Cray Shea and Tenile Pritchard demonstrated great versatility, switching between the lovely, lilting “Take Off with Us” opener and the coy, snappy “Bye Bye Blackbird.” “Blackbird” especially was svelte and feminine and played well to the audience. “Big Spender,” another predictably dance-y number, featured the entire cast and resisted any precious ambiance, opting for gritty authenticity instead. Beautiful girls cat-calling to guys across a bar is a familiar scene in Las Vegas, but the girls’ playfulness garnished the number with laughs. They gotcha! Traci Kesisian, flanked by Claudia Cervenka (left) and Erin Marie Sullivan, made it clear that these performers aren't playin'. The due shone in “Class,” “Nowadays” and “Life is a Bowl of Cherries.” Their professionalism was clear, and their enjoyment bled into the audience throughout the show. Arles Estes bears mentioning as well, as his arrangements of “Take Off with Us” and “Cherries” were just the right degree of smooth and snazzy. Kesisian and Smith’s dance break in “Nowadays” was also excellent, rife with jazz hands and Charlestons. Individuals in the ensemble, equally hard to forget, made their voices heard in “Cell Block Tango,” perhaps the most personality-filled number in the show. Each performer delivered a snide monologue about doing away with lying, cheating men, and the audience was roaring by the end of the act. “Sing, Sing, Sing,” the traditional Fosse closer if there ever was one, wrapped up the concert. The performers were decked in fringe and glitter and their swishing costumes added an audible element to the Fosse-filled finale. Jazz hands, pigeon toes and distinctive, attenuated lines gave a final tip of the fedora to the show’s inspiration. One final performance of “Take Off with Us” is scheduled for 8 p.m. at Green Valley Ranch. (Doors open at 7 p.m.) Tickets are $15 and can be purchased at the door, but arrive early, as the house fills fast. Proceeds benefit Golden Rainbow, an organization assisting those living with HIV and AIDS. Giulio Scatola, Cirque’s talent scout and a fine artist in his own right, has directed and choreographed “Take Off with Us,” a tribute to Bob Fosse, at the Ovation at Green Valley Ranch. The concert series was produced in conjunction with RagTag Entertainment and revenue will benefit Golden Rainbow, a nonprofit organization supporting those living with HIV and AIDS. If that sounds like your cup of tea — or bowl of cherries — stop by the Ovation theater today, Feb. 21, or Feb. 28. Doors open at 7 p.m. and the shows start at 8 p.m. Tickets can be purchased at the door; admission is $15. All ages must be accompanied by an adult 21 years of age or older. For more information, check out the Green Valley Ranch entertainment page. There’s something that happens every year that gets dancers very excited, but it doesn’t have anything to do with a fat man in a Santa suit — unless he’s auditioning for a character role. Cirque du Soleil, international entertainment mogul, holds open auditions for dancers and specialty acts every year and these are among the largest cattle-call auditions in the city. This year’s audition series took place from Jan. 30 to Feb. 2 and was held at The Rock Center for Dance. The four-day stint staked out the largest spaces at the studio and included a plethora of dance styles, from contemporary to step to freestyle to locking and breaking. How many dancers can you stuff into a studio to learn a combination? The registration team at the audition estimated that about 300 girls showed up on Jan. 30 for the the contemporary/ballet audition for females, which is usually the most well-attended portion. All 300 of those girls were funneled into one studio and taught a combination that traveled from the corner. Traveled. Interesting concept, when space constrictions necessitate that port de bras consists of finger twitches. True to promises made by the artistic team at the audition, the dancers were split into groups of two and each was given a few precious counts of eight to make an impression on the casting crew and a video camera. After everyone had been seen, the cuts began. About 60 girls showed up for the street section on Feb. 1 and a fraction of the contemporary and street groups was kept for callbacks on Jan. 31 and Feb. 2, respectively. Those that made it all the way through are now part of the Cirque database, meaning that the artist has information on file with the company and will be contacted if an appropriate contract opens up. Krista Monson, the director of casting for resident shows, and Giulio Scatola, an artistic talent scout for Cirque, were present and pontificating at the audition. Scatola gave the combination and Monson gave the rundown on general information about the company. A couple things were new. For anyone that’s confused about what exactly is going on with the impending Michael Jackson experience, take note that Cirque actually has two shows slated for creation. One will be a touring arena show that will hit major cities for a few days to two weeks at a time. The other, as promised, will be a resident show in Las Vegas that will begin in 2013. For Vegas dancers, hitting up a Cirque audition is almost a rite of passage and being on file with the company is certainly commendable. Keep an eye out for 2012 audition dates and it may be a good idea to bring along a single white glove. Note: None of the photos associated with this post are of the audition space, creative team or any audition material whatsoever. For official photos of Cirque shows, cast members and artistic directors, check out their website at the link above. For a sneak peek of audition combinations … go to an audition, yo.